Originally from Hertfordshire, Dr Katie Birks trained at Oxford Medical School. 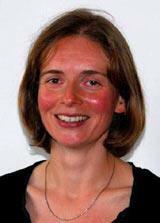 She moved to Norwich in 2000 to join the GP training scheme and joined The Humbleyard Practice in 2006. She is married and has 2 sons. Her interests include collecting new stamps in her passport and running. Dr Markham was born in Norfolk and went to school in Norwich. He qualified from University College London in 2006 and completed his hospital jobs in Norfolk. He then commenced GP training after a year of surgical speciality training at the Norfolk and Norwich University Hospital. He worked initally as a salaried GP at Hoveton and Wroxham Medical Centre, before joining the practice as a full time partner. Dr Markham is a very keen sportsman and enjoy various hobbies to stay fit including cycling, running, kitesurfing. He also has 2 Labradors and very much enjoys walking with them. He lives with his family near Wymondham and has a productive smallholding - growing fruit and veg. Originally from Norfolk, Dr Cohen trained at Kings College London Medical School, returning to Norfolk in 2008 to complete her GP training. She joined The Humbleyard Practice in August 2014. She lives with her husband and growing family and loves family days out exploring the Norfolk countryside with them. Dr Martin joined the practice in September 2017. He is originally from Norwich but completed his training in Sheffield, before returning to Norfolk. Receptionists provide an important link for patients with the practice and are your initial contact point for general enquiries. They can provide basic information on services and results and direct you to the right person depending on your health issue or query. Receptionists make most of the patient appointments with the GPs and nurses. They may need to ask you information in order to provide you with the appropriate consultation and to assess the degree of urgency. Please do not be offended - they are subject to the same confidentiality rules as the clinicians. Maternity care is provided by the Breckland Team of midwives who are based at Wymondham Health Centre. There are currently eight members of the team and the 'named' midwife for Mulbarton surgery is Amy Ore.
At present, antenatal clinics at Mulbarton surgery are held every Wednesday afternoon. We would recommend that you contact your doctor’s surgery as soon as you think you are pregnant. We can then arrange for you to be seen at the midwives' clinic when you are approximately 8 weeks pregnant. This is a collaboration between Norfolk & Waveney Health Partnership and Norfolk Library and Information Service. If you feel you would benefit from having access to books covering these and many other mental health issues, please speak to your doctor or practice nurse who will arrange a prescription for you. The prescription can be used at Hethersett Library, who participate in this scheme, to borrow the appropriate book for your needs.